Different collections of interesting videos in the world of tanks. Update 1.4 in world of tanks. 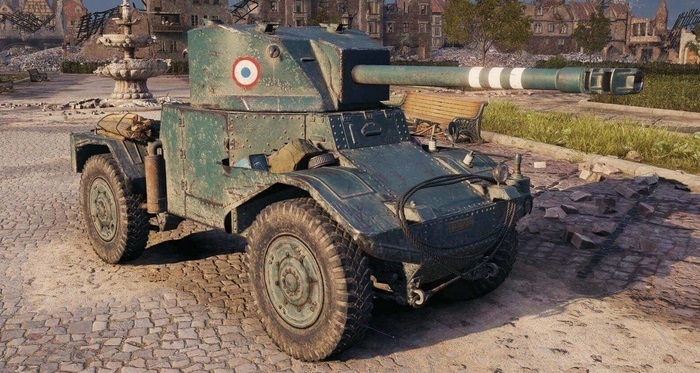 New wheeled vehicles in France. The AMD Panhard 178B, The Hotchkiss EBR, The AML Lynx 6×6, The Panhard EBR 90 (mle. 64), Panhard EBR 105. The development team has long discussed which machines to include in the new branch of wheeled vehicles. As a result, we chose six cars: five of the studied VI – X levels and one premium “eight”. All of them were embodied in metal, but the level X car was slightly modified compared to its prototype. The peculiarity of wheeled vehicles from “ordinary” tanks are unique mechanics: target acquisition and two modes of movement. These mechanics are added gradually in the study of new machines. As the level increases, the difference in maneuverability and speed between the two modes, normal and speed, also increases. The wheeled tank of the initial level, which participated in the battles of the Second World War. 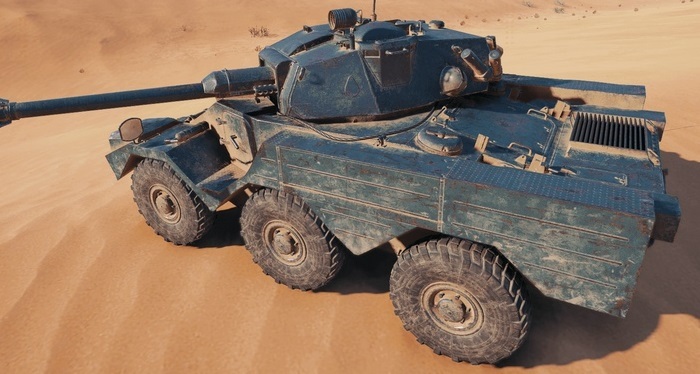 AMD Panhard 178B will be a transitional stage between light tanks and wheeled vehicles. The dynamics and maneuverability of this machine are slightly different from most light tanks in the game. But at the same time, it is from this machine that you will have to get used to the unique mechanics of capturing a target – automatically aiming at the enemy by clicking the right mouse button in the area next to the target. 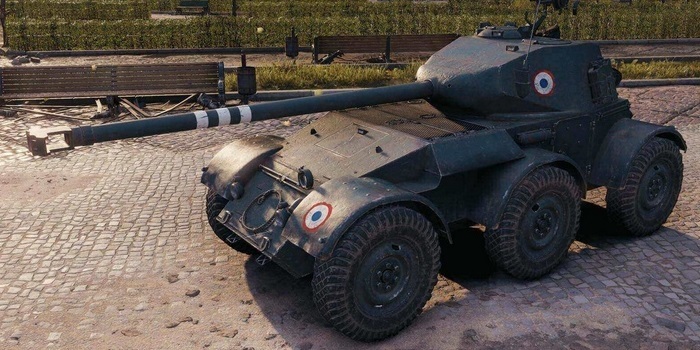 This wheeled tank is armored just like a regular light tank, and is equipped with an additional bridge compared to the AMD Panhard 178B. If one wheel is damaged, Hotchkiss EBR will continue to move, but the speed will decrease. To completely stop the car, the chassis will have to be seriously damaged. Serious opponent on the battlefield. From this tank, a new mechanic appears – two modes of movement: normal and high-speed. Speed ​​mode allows you to reach speeds of 80 km / h, it is best suited for large movements on the map. However, a fast moving car is more difficult to control, and you will need to get used to it. On maps with a developed landscape or a large city feature, you must be especially careful with this mode. In normal mode, compared with speed, maneuverability and stability of the machine above. It is useful in tight spaces and narrow streets. The maximum speed in this mode is limited to 58 km / h.
This car boasts excellent dynamics, maximum speed – 85 km / h. Panhard EBR 90 (mle. 64) can move forward and reverse with the same speed. In this car, the difference between the two modes of movement is best felt. In addition to high maneuverability, the machine is armed with an exact 90-mm instrument. Historically, armored vehicles of this modification were not armed with a 105 mm gun, so we had to rework its chassis and turret. 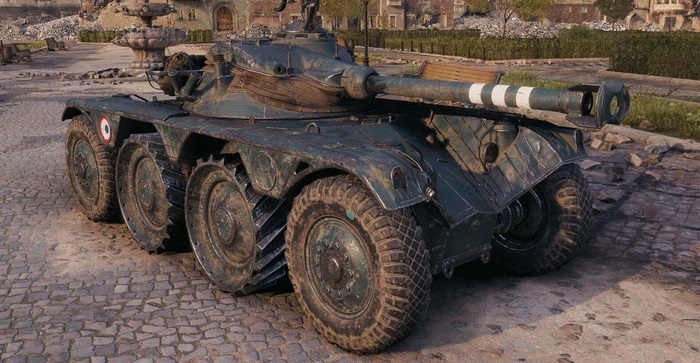 Panhard EBR 105 will be the fastest car in the history of World of Tanks: its maximum speed is 95 km / h! It will also have the biggest difference between the modes of movement (relative to the previous machines of the branch). A 105-mm single-shot weapon (390 units) will be a threat to any opponent. Added support for multi-threaded outlines. Until recently, there was no point in introducing technology with a lot of threading: most of you played on computers with two processor cores, while the main load fell on one of them, and the second was not constant (from 40 to 70% depending on PC configuration). However, over the past couple of years, the number of players using PCs with four or six processor cores has increased significantly. And this trend is only increasing. Today, 60% of tank crews have computers with four processor cores. A multithreaded outline will be appreciated by those who play World of Tanks on laptops. Typically, laptops install multi-core processors with low frequency and technology support. It increases the voltage on one core, temporarily increasing its frequency and thereby increasing its performance – and for a while everything looks good for the player. And then overheating happens and throttling is turned on, that is, the processor speed is forcibly limited by lowering its frequency or skipping cycles to protect it from excessive load. The FPS score drops significantly, and playing becomes uncomfortable. Now, when we can use three or four cores, but not to the maximum, even in the case of throttling, the FPS drops slightly. That is, it will be more comfortable to play. Changes to the store and warehouse. A section has been added to the Warehouse, where unique styles will be stored that are not suitable for cars in the Angara. There will also be styles, which have fallen out of the New Year’s boxes, if there is no target technique for them. A counter has been added to the cards of sets of several items: now you can immediately see how many items (for example, how many First Aid Kits) are included in the set. A “Lost City” map has been added for the “Random Battle” mode (including assault and oncoming combat), as well as for the “Attack / Defense” type of team battle. There was a deep processing of the card for these modes and types of battles. The map will get IV-X level equipment. Improved performance of award vehicles in the company 2.0 Second Front. Improvements have been made to Chimera 8 level tanks and Object 279 early 10 level. As well as changes were made to personal combat missions in company 2.0 Second Front. GamePARDvideo.com – video, streaming, online, download, resume, history, advertising. We try to publish unique materials that may interest you. This includes a mix of different games and video viewing. We will be very happy for any guests. If you recommend our site to your friends, we will be very grateful. Soviet light tank M3 “light” rare and auction.